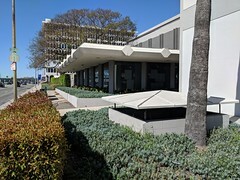 The facility itself left a bit to be desired: Kentia Hall, below the South Hall, is technically convention space, but it doubles as a parking garage. Everything was concrete, you could see faded lines marking out parking spaces on the floor, and there were enough support pillars to rival Dwarrowdelf (many of them right in the middle of aisles). The high ceilings, dim lighting, exposed air ducts and just the fact that everything was gray gave the place a really dismal feel, and the noise echoed horribly. To make matters worse, all the panels were held in the main hall in curtained-off “rooms” around the edge. Even with microphones, it was hard to hear the panelists over the noise. I much prefer the other large halls in the Los Angeles Convention Center that I’ve been in (South and West): they both provide for more…cheery venues. On the plus side, the line to get in moved. When I got there, they even had staff walking up the line with wristbands looking for people who had all their paperwork and just needed to hand it over. As it is, I didn’t make it to many panels. I kept getting to a room, checking the schedule and finding that the panel I was interested in had started 40 minutes earlier. (It didn’t help that they didn’t provide program booklets, but I’m sure that’s one of the ways they kept the cost down.) I caught a few minutes of a Star Trek cast panel (by which they meant Garret Wang (Harry Kim) and two guest stars from the original series, though a lot more of the actors had appeared for signings earlier in the day), and about 20 minutes of a panel on the “Evolution of the Modern Zombie,” led by the author of The Zombie Survival Guide and World War Z. I missed the DC New 52 Q&A panel entirely due to a mixup and the fact that I didn’t check my text messages frequently enough. 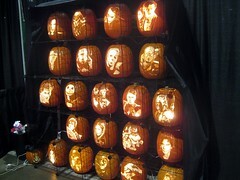 Some highlights: amazing Jack-o-Lanterns carved by The Pumpkin Geek using a Dremel tool. Optimystical Studios’ Zomb-Alert pendants, so that your loved ones will be able to honor your wishes in the event that you’re bitten by a zombie. The Starbucks buzz. The worst ice cream I’ve ever tasted. 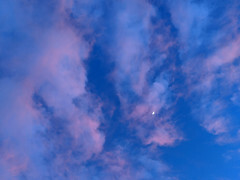 (OK, that’s a lowlight.) Walking up to a crowd of people taking pictures of someone I couldn’t see, asking what was going on, and learning that everyone was taking pictures of Stan Lee playing a video game. And of course all the costumes: The woman who had painted Trill spots on herself. 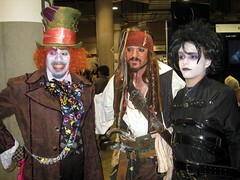 The three Johnny Depp characters who ran into each other. An actual Donna Troy/Wonder Girl. Several Ramona Flowers, one of whom was walking around with Scott Pilgrim. 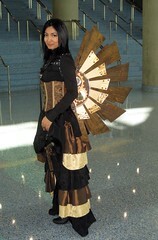 Lots of steampunk outfits. There was a lot of stuff there, but unfortunately I was only interested in a fraction of it. 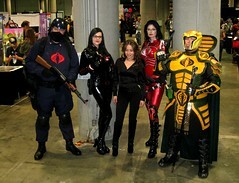 Long Beach was, I think, a smaller con, but it really felt like a full day of entertainment. 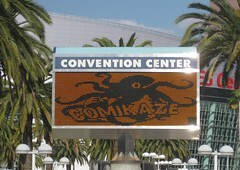 I think my Comikaze experience would have been better if if I’d managed to catch a couple of panels on time, or if I hadn’t just been to another con with a lot of the same artists, or if I’d actually found the two artists I was specifically looking for, but as it was, I felt done about two hours before the floor closed for the day. I might go again next year, but if it’s right next to Long Beach again, or if I have to choose one over the other, it’ll be Long Beach.